Gen Urobuchi seems to be a big name to come out of the anime world recently. Madoka Magica, Fate/Zero, Psycho-Pass, and even the newest of his work Aldnoah.Zero have made him a pretty popular writer. However, there still seems to be some series that people will question on occasion. Today, we’re talking about one of them. Gargantia on the Verdurous Planet is a 13 episode SciFi/Adventure/Mecha series based on the ongoing manga by Wataru Mitogawa. The series from Production I.G. and director Kazuya Murata aired during the Spring 2013 season. 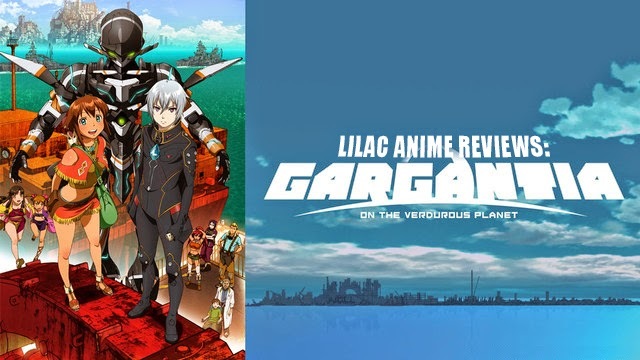 As of this review, Gargantia is licensed by Viz Media (US) and Manga Entertainment (UK). There are also two additional OVA episodes that are currently licensed by Viz Media and Manga Entertainment with another two, currently unlicensed, OVA episodes scheduled for a November 2014 and a May 2015 release. In the distant future, mankind has taken to the stars and formed the Galactic Alliance of Humankind. The Alliance is engaged in a perpetual war with a tentacled alien species known as the Hideauze. 16-year-old Ensign Ledo is a soldier in the Galactic Alliance, piloting a Machine Caliber, an AI-automated, humanoid-shaped battle suit, which he refers to as 'Chamber'. After a failed attempt by the Alliance forces to destroy an enemy super-weapon, Ledo is knocked into a wormhole and loses consciousness. When he awakens, he learns from Chamber that he has been in cryo-stasis for 6 months while his wounds were healing. 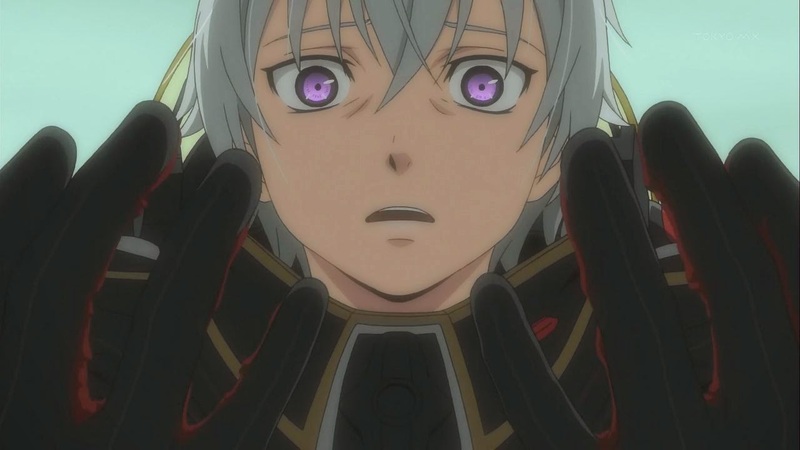 Ledo learns that he and Chamber have been 'found' by a rag-tag band of 'primitive' human scavengers. 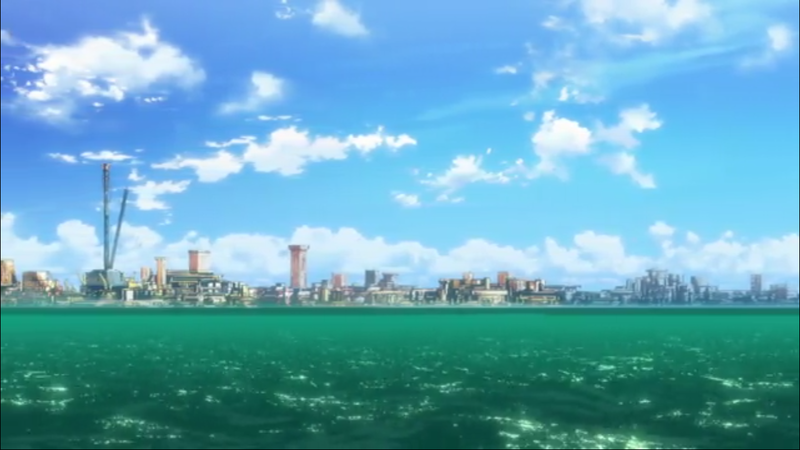 He quickly discovers that he is on board a massive fleet of ships, called Gargantia, floating on an ocean-covered planet. Chamber tells him that local star charts reveal the planet is Earth, the birthplace of humanity, a place that members of the Alliance were only familiar with from stories and believed was a myth. Incoming broken record as I talk about Production I.G. and it’s amazing animation work. There, that’s done. 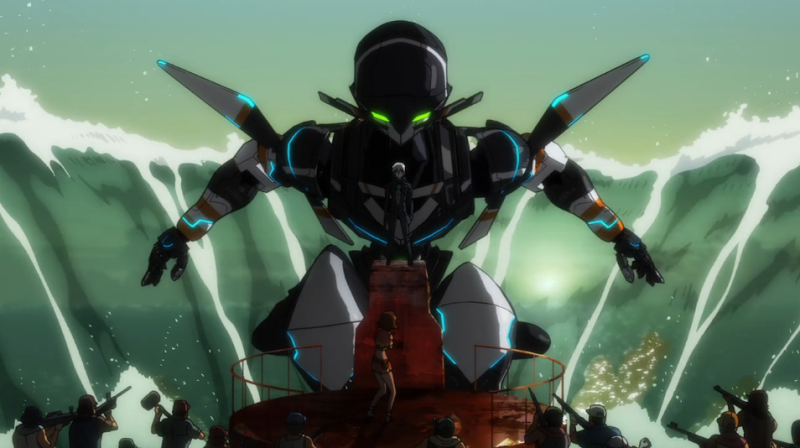 Gargantia’s animation, however, isn’t as top notch as Production I.G.’s other work. This doesn’t mean it’s absolute crap, it just isn’t as outstanding as other series. Honestly, it’s hard to even find a poorly animated Production I.G. series, so I can really only give the lesser quality ones a more average rating. The backgrounds and the worlds we see in the series are well animated along with some well thought out action scenes along the way. The more CGI work for Chamber is also rather well done, and it doesn’t stand out too much compared to the rest of the series. As for the music, there is a contrast between the more military and strict world of the Galactic Alliance and the much more relaxed and peaceful music we get from Earth and Gargantia. Taro Iwashiro may not have many credits under his belt, but I do have to commend his work for this series. Even though some of the tracks may seem a bit repetitive and cliched at certain times, it still does manage to fit the show. The story is rather simple and basic. We have a character who is fighting a war but somehow manages to end up in a different world than his own. He battles his own inner demons while trying to adjust to this new world and is helped by a local girl whom he begins to develop feelings for. However, he still can’t let go of his old life as it comes back to haunt him. This is the kind of story that has been done before, so the question really is does it work out well? Kinda... While the main premise of the story is pretty good, there are parts of it that weren’t able to keep my attention. It tries to be a more character driven series rather than story driven, but this only tends to work if the majority of the characters are able to really carry the show. 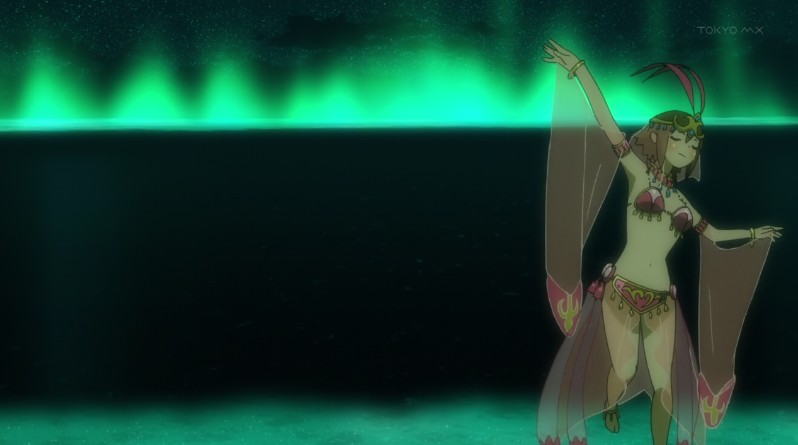 Gargantia doesn’t have a strong enough cast to pull this off. If the decision was made to make the series more story driven then it’s possible the story would have come out much better for it. Granted, I’m all for having well developed characters, but you need to be able to have some kind of story to help support them. If you don’t even have that, then what’s left? I will say that I also took the opportunity to watch the two OVA episodes that are currently available and I only half liked them. The first OVA can be placed sometime before the half way mark of the series, and gives a little side story for Ridget. Meanwhile, the second OVA episode takes place in between Ledo’s space battle and when he wakes up on Gargantia several months later. But this time we get more time with Ledo’s commanding officer, Kugel in a fairly interesting backstory and piece of exposition before going into the main story. Many of the characters of Gargantia are rather basic and surface level. Throughout the series, we do get to interact with them however some of the characters you would think would get some amount of major development actually don’t. This is the case with Amy as she is seen more as your average series heroine who wants to help the main character in her own way by understanding him and showing him her world. There are some hints at character growth, but it doesn’t really go any where and she just ended up as a rather dull leading lady. Some of the secondary characters do get moments in which they shine, with Pinion and Ridget getting the most out of the group. I didn’t mind Pinion getting some of the spotlight during the second half of the series, as his actions are what drive the plot forward so it’s only logical that we get a chance to see his character grow. As for Ridget, her major development is limited to one episode towards the halfway point and I just wished we either got more or it was taken out entirely. It just seems a bit more abrupt compared to the other characters in the series. As for Ledo, his character was the most interesting to me. It’s a mix of soldier with Post Tramatic Stress Disorder, adjusting to a completely new lifestyle, and growing into his own person. This is Ledo’s story, so we will be following his transition from a by the book soldier to a much more relaxed and happier human being. All the while, his duty as a soldier is never that far behind him and he struggles with himself as he tries to determine what the right choice is in the end. Although this is a story line we have seen before, for Ledo it is well written. Also, surprisingly enough, Chamber gets his own moments throughout the series as well to grow. For much of the series, Chamber is seen as Ledo’s link to the world where he came from as Chamber is programmed to follow military protocol. However, just like Ledo, Chamber also comes to the realization of a more freeing life that the humans on Earth lead and is able to fight for that freedom alongside Ledo. I know some conspiracy theorists will freak out about robots taking over because Skynet, but I fully welcome this transition in Chamber because it helps confirm Ledo’s transition from soldier to civilian. In a way, Chamber is Ledo’s inner self and, as such, takes the longest to completely change his viewpoint. Viz Media can be rather interesting when it comes to their dubs. Mostly because it’s become rather rare for me to be talking about them. But, here we are! Anyways, the dub cast is a little mixed in performances with some good and some not so much. 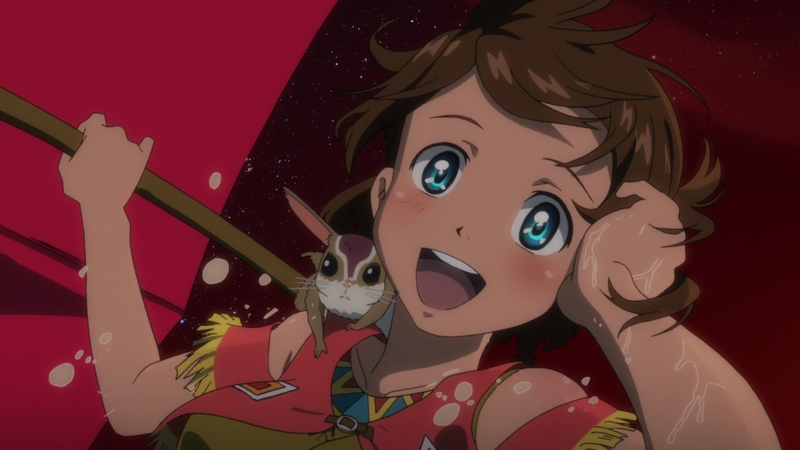 Laura Post’s (Redline, Squid Girl) performance as Ridget was one of the weaker ones, in my opinion alongside Janice Roman Roku (Toradora) and Natalie Hoover’s (Accel World, Magi) Melty and Saaya. As always, Patrick Seitz (Hellsing Ultimate, Sailor Moon) has some fun as he voices Pinion though it’s not one of my favorite performances by the voice actor. Marc Diraison (Sword Art Online, Beserk) was actually rather surprising with his portrayal as Kugal, but it may be because I’m having flashbacks to One Piece’s 4Kids days. 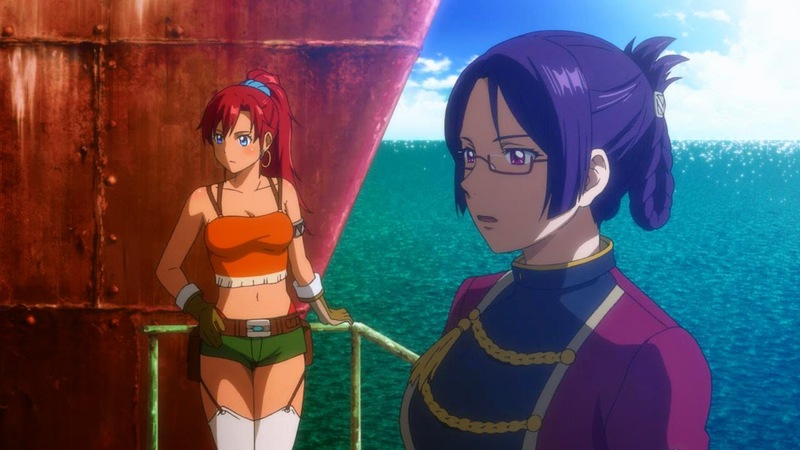 Michelle Ruff (Gankutusuou, Last Exile) and Julie Ann Taylor (Code Geass, Fate/Stay Night) fall more along the stronger performances for me as they take on the characters of Bebel and Bellows. Guess that now leaves our three major characters Ledo, Amy, and Chamber. Matthew Mercer (Attack on Titan, Fate/Zero) takes on our robotic friend Chamber, and I found it to be the most enjoyable performance of the entire show! Being able to take on a rather blank character like this is a challenge and this played in favor of Mercer. Cassandra Morris’s (K-On!, Madoka Magica) performance as Amy isn’t as strong as I had hoped for, however she managed to grow into the character by the end of the series so I commend her for that. As for Ledo, we have a complete newcomer filling this role (I’m not kidding here, the only other voice work he’s done is for Toradora). Alan Lee is certainly an interesting voice actor, I’ll say this much. I will say you can tell he’s pretty new to voice acting, but since Ledo is played as a foreigner for much of the series, this helps Lee make adjustments along the way that, by the end, he grows accustomed to the character and lands a decent performance. By the end of the salvage, Gargatia on the Verdurous Planet isn’t trying to be anything original or innovative. While the important characters do get attention and the English dub is rather solid, sadly the story isn’t as up to par. Because of the moments where I felt the story seemed to lack something, it made it harder to get through this series on my second watch. Overall I say try it if you’re looking for an interesting premise and a couple of interestingly developed characters in Ledo and Chamber. Otherwise, I’d be hesitant. Next time, we're going to try a rather Experimental Anime. Until then, otaku on my friends! Final Rating: 6/10 Not a standout, but still isn’t half bad. It seems worth noting that this isn't *actually* a Gen Urobuchi work - at least not in the way Madoka Magica or Psycho-Pass were Urobuchi works. In those series, he came up with the original concept/series structure, but then actually wrote each episode. Those were his own, undiluted stories. 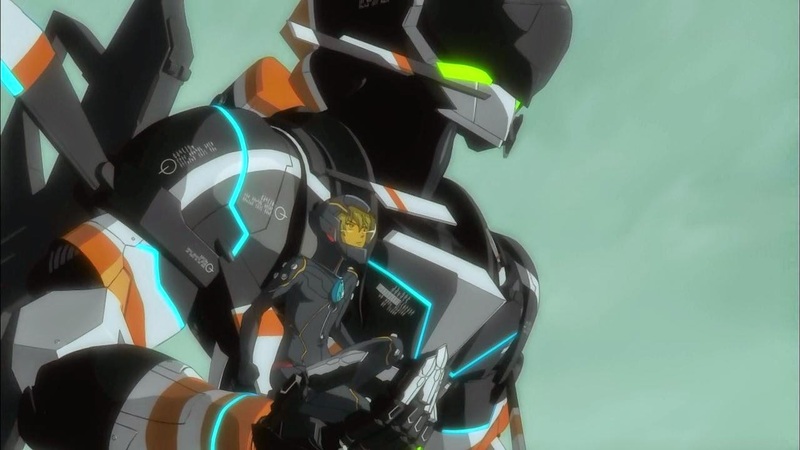 For Gargantia, Urobuchi was behind the original concept/overall story, and he wrote the first and last episode ONLY. Episodes 2-12 (inclusive) were written by a smattering of other writers (mostly Daishiro Tanimura). This allowed them to advertise this as a 'Gen Urobuchi series,' which I suspect is all they wanted in the first place.